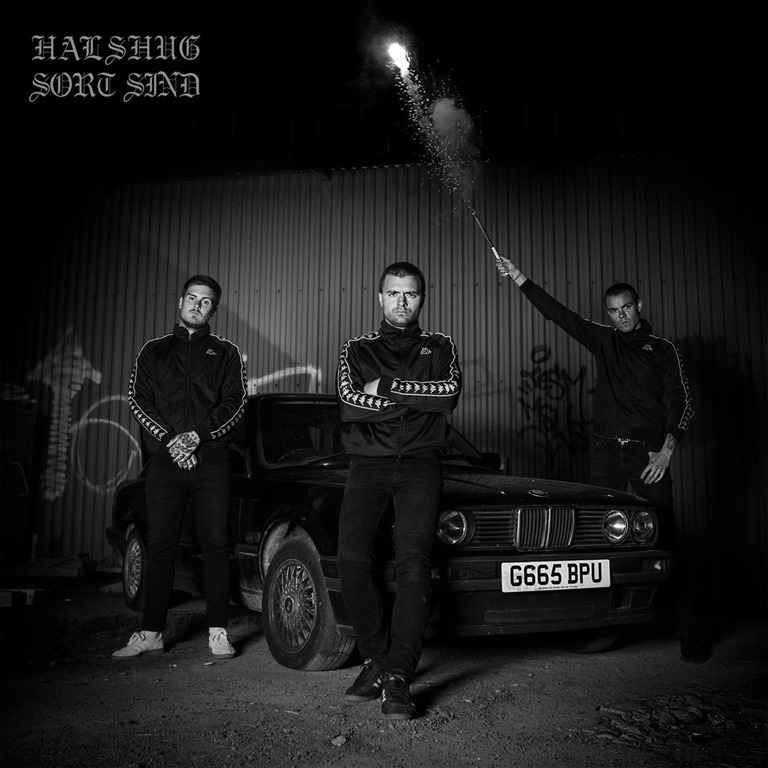 There’s something rotten in the state of Denmark, and Halshug are the band to soundrack everything that’s rotten, bleak and uncomfortable in their native country. From the pleading, agonised screams and tears of a man being tortured, to the last howl of feedback, Sort Sind is a merciless and brutal album. Beneath the deluge of power chords, a mess of overdriven, serrated metal churn, the welter of thunderous, hell-for-leather drumming and dense, chugging bass, there are actual hooks and choruses to be found – but not many, and this statement should not be read that this is by any means a pop album, or that’s it’s accessible or easy going. It really isn’t. The vocals sound as if they’ve been cloned from Lemmy’s DNA, and this hoarse-throated roar leads the power trio through nine abrasive tracks. The Mötörhead comparison carries into the music, too: like Mötörhead, Halshug (trans. ‘decapitate’) combine punk and metal to create something harder, heavier, faster and more attacking, without resorting to the clichés of either genre. The album’s title translates as ‘Dark Mind’, and the themes of substance abuse, parental neglect and growing up in deprived areas of Denmark dominate the album. With track names translate to ‘Scum’, ‘Violence’, ‘Defeat’ and ‘Lonesome Death’, it’s a fitting title for an album fuelled by rage and frustration, delivered with an energy that’s pure catharsis. Recorded live, produced and mixed at Ballade Studios in Copenhagen by Lasse Ballade, who also produced and mixed Blodets Bånd, Sort Sind is bursting with rawness and immediacy the music demands.